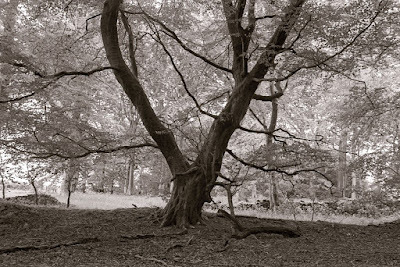 Ilford's 5x4 Obscura will now be available as a camera-only deal. 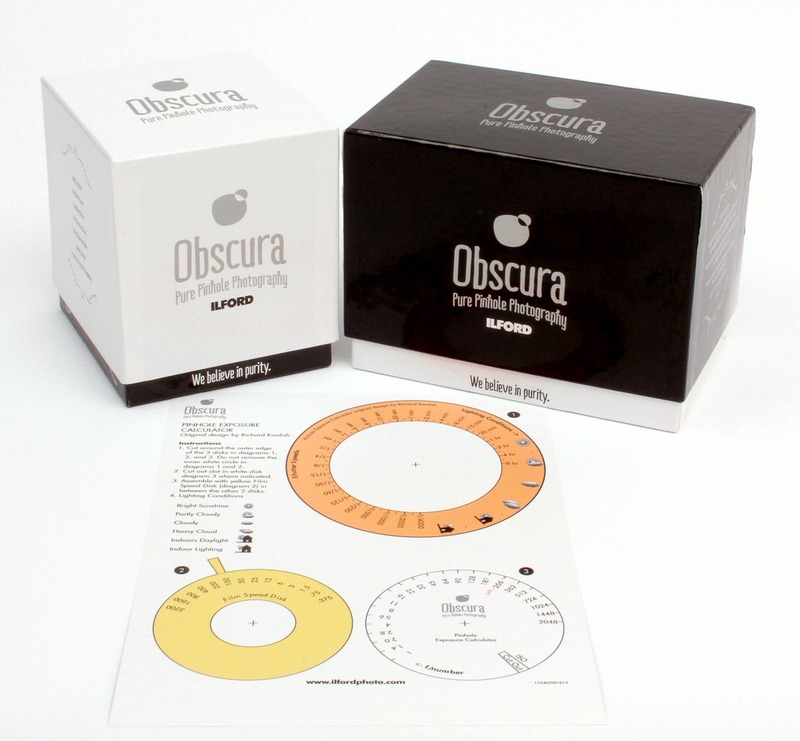 If simplicity is a sign of great design, the Ilford Obscura, released last year, is a stroke of genius. You might have already heard about it but, if not, it's basically two open-ended "expanded PVC" boxes, one of which slides inside the other. A sheet of 5x4 paper or film is placed against the inside back of the larger box and it's held in place by the open-ended edges of the smaller box. A couple of magnets "click" the whole thing together. On the closed end of the smaller box is a stainless steel, chemically-etched 0.3mm pinhole which is covered by a magnetic locking shutter. And that's all there is to it. Ilford initially sold it as a kit with 10 sheets each of Ilford direct positive paper, multigrade paper and film, a simple exposure calculator and a three-tray light-tight box for storing the materials. If you want to shoot more than one exposure in the field then you'll need a changing bag of some sort to safely remove the exposed sheet, pop it in the storage box and slip in a new sheet. That's the background to the Obscura. Now, Ilford says it has responded to requests from photographers and decided to also sell the camera without the film or paper but still inclusive of the calculator and storage box. Although the original kit will still be available, this is a good move from Ilford as it allows people to have a go at 5x4 photography for very little cost. There are plenty of analogue photographers who will already have 5x4 paper in their darkroom or something they can cut down to size to get up and running. The kit costs £69.99 whilst the camera on its own will retail at £55. 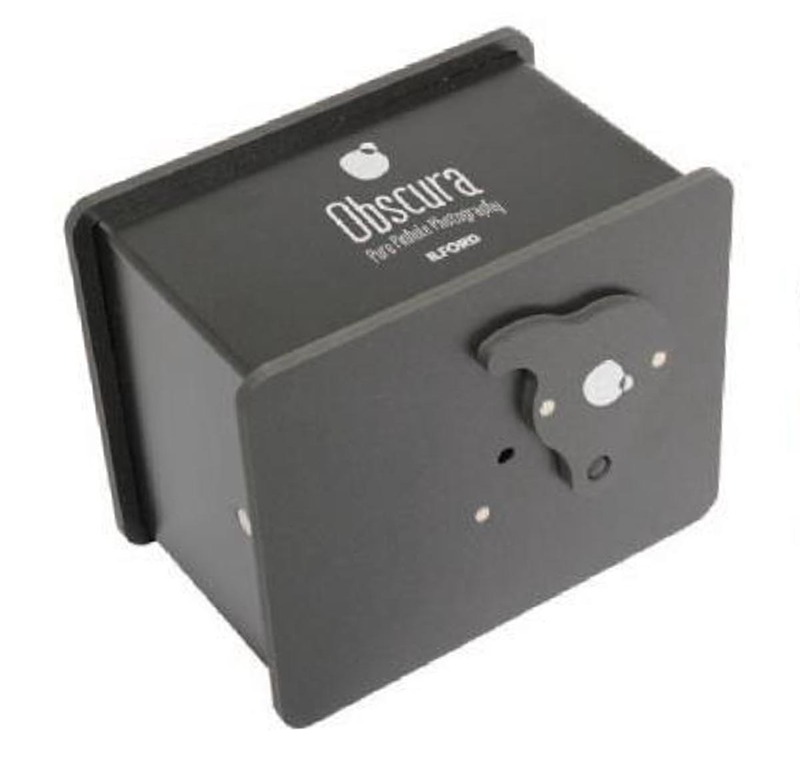 If I didn't already have a 5x4 Speed Graphic, I'd definitely pick up one of these to get a flavour of large format pinhole photography. If you take to the pinhole look, it could be the only 5x4 camera you'll ever need. Ilford have really taken to the whole pinhole scene, not only with this camera but with the 'Titan' series of 5x4 and 10x8 cameras. With changing bags available for next to nothing, a reasonably small amount of capital could see you set up with a very interesting large format set up. 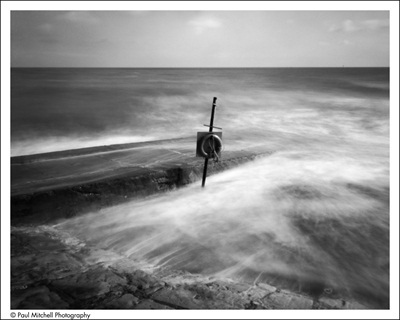 I've always wondered what the quality in terms of sharpness would be like from a 10x8 pinhole paper neg contact printed. I could see that being a lot of fun. Hi Bruce I have a 10x8 pinhole gathering dust at the moment sadly . I will add a couple of shots to the online darkroom group .One on paper a six hour exposure (f320) and one from the field on film. Not a camera for windy days and 10x8 film holders are not cheap.What is interesting is the options for example my 10x8 has a 49mm filter thread which I did try with wide angle lens attachment ( front element only ) which turned it into a 10x8 fish eye camera something I must revisit. Pinhole is great fun here is a link to the pinhole guru..